Hernán Asorey is the Chief Data Officer at Salesforce. 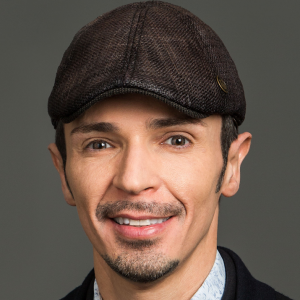 In this key leadership position, Hernán is responsible for transforming all data across Salesforce into actionable insights and ideate, design, and develop AI applications that lead by example the 4th industrial revolution at Salesforce. Hernan and team were responsible for Einstein Guidance (EG) for Salesforce with unprecedented accuracy by leveraging AI as a key differential to previous approaches in the field. (Einstein Guidance featured by Marc Benioff at Davos –https://www.cnbc.com/2018/01/25/davos-2018-ai-machine-called-einstein-attends-salesforce-meetings.html). 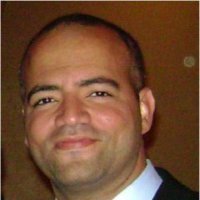 Prior to Salesforce, Hernán held different roles in fields related to data, research and analytics at Hewlett-Packard, Symantec, eBay, MicroStrategy, and Microsoft. He has a degree in information systems engineering with specialization in applied math from the Universidad Tecnológica Nacional in Buenos Aires. Hernán also graduated from the Executive Program at Stanford Graduate School of Business. Robin Glinton is Vice President of Data Science Applications at Salesforce.com. 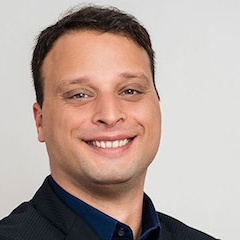 He leads a team dedicated to understanding adoption of Salesforce products as well as applied research in Machine Learning driven CRM offerings. 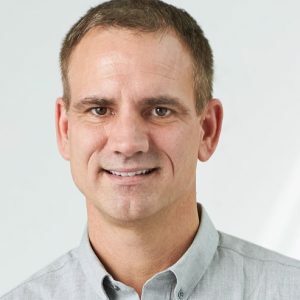 Robin has held a number of positions across startups, industry, and academia including support of omnichannel marketing across Sears, Kmart, and the 50M member ShopYourWay loyalty program. At startup kWantera he implemented end-to-end analytics as a service systems to support energy procurement for large corporations. 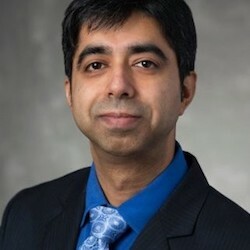 His research at the Robotics Institute, Carnegie Mellon resulted in over 30 refereed papers and journals on the subject of distributed AI. Machine learning and artificial intelligence play a crucial role in modern day e-commerce platforms. In this talk, Kamelia will walk through practical examples of machine learning and artificial intelligence in e-commerce including learning to rank and click through rate prediction using deep learning techniques. She will also explain the requirements of building a culture to enable full integration of machine learning and artificial intelligence with business through experimentation and share lessons learned along the way. Kamelia Aryafar, Ph.D. is the Vice President and Head of Data Science at Overstock.com. 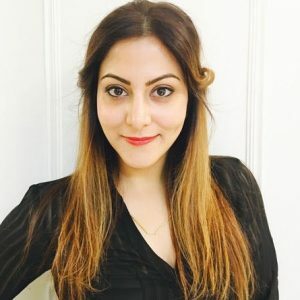 She leads the core machine learning, data science, marketing data science and personalization teams focused on building scalable machine learning, natural language processing, deep learning and computer vision tools to curate a personalized experience for Overstock users. Prior to Overstock she has been a Senior Machine Learning Scientist at Etsy for more than four years. Before Etsy, she was doing a Ph.D. in computer science and machine learning, building large-scale classification and information retrieval models. Anyone who has worked as a practicing data scientist knows that sometimes the best model doesn’t win: integrating new systems and processes that come with AI often present challenges that require creative work around to ensure long-term success. Often the solution to this problem comes through inclusion of key stakeholders, and understanding the power balance of the organization. In this session The Data Guild’s Cameron Turner will share some of the triumphs and pitfalls in building/deploying AI solutions for Fortune 100 companies and strategies for making solutions stick. 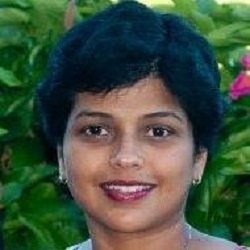 Aarthi enjoys building dynamic teams to launch scalable products. She brings over 15+ years of combined experience in product management, consulting and engineering. Currently she leads the personalization team at Target to create unique customer experiences powered by machine learning algorithms. She enables her teams to embrace the power of customer research & product analytics to create a product strategy that drives positive business results. Aarthi’s experience in Financial technology encompassed the launch of award winning Social Security and Income Planning solutions that saved billions of dollars for retirees. She has also worked at Intuit, Oracle and JP Morgan in her earlier years. On the academic front, she holds an MBA from Wharton, MS in Computer Science from Stony Brook University and BS from Madras University. Demystifying AI: What really is AI? Is it new, just like gravity was new when Newton explained it! Pitfalls: Good morning I know AI won’t work. Rohit is a seasoned business leader who has worked with Blue Chip companies across the globe. He has more than 25 years of leadership experience across the Consulting. Process, Analytics, IT, Digital, AI/ML and Advertising. He started his career as an entrepreneur working on advanced technology solutions. 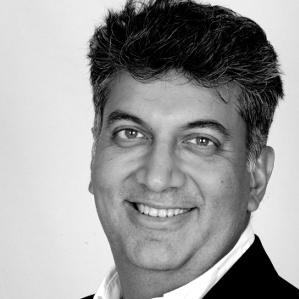 Rohit then joined Accenture Consulting and for many years worked across Strategy, Process, Analytics and Data. He joined GE as the initial leadership team for GECIS (now Genpact) and later worked in leadership roles including Global Six Sigma Leader for GE Commercial Finance and CIO of GE Asia. When GE spun off Genpact, he moved to Genpact to lead the Analytics business for several years, after which he became the executive vice president at IBM’s Global Processing Services unit where he was responsible for strategy, IT, quality and transformation before joining HP. During his tenure with HP, he was also the Vice President, Strategy and Chief Analytics Officer for erstwhile HP (pre-split) where he led the Analytics ecosystem to support HP’s vision and priorities through the delivery of cutting-edge analytical capabilities across sales, marketing, supply chain, finance and HR domains. Post HP’s split, he was vice president and worldwide sales leader for the $4.5Bn Technology Services Annuity business at HPE. 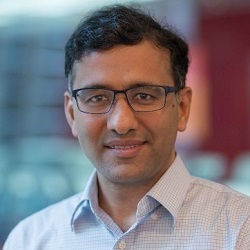 For the last two years Rohit has been the SVP and Chief Analytics Officer at Genpact, leading what is one of the largest global analytics services teams in the industry today. Based in Palo Alto, California, Rohit has a Master’s degree in Computer Application (MCA) and is a Computer Sciences graduate from St. Stephens College, Delhi University. He is a Certified Six Sigma Master Black Belt and a Certified Quality Leader in Six Sigma. He also jointly holds a patent for optimization algorithms that he designed. Companies employ various means of differentiation in order to gain a competitive advantage in the market. Traditional differentiators include network economies, branding, economies of scale, and so on. But the availability of data and compute resources, combined with the emergence of new business models, have enabled data science to become a strategic differentiator for some companies. Eric Colson explores what it means to differentiate by data science and explains why companies must now think very differently about the role and placement of data science in the organization. If data science is going to be part of your competitive strategy, it warrants rethinking how the company is organized, how it defines its roles, and how it attracts and retains top talent. * When and why the Data Science team should report to the CEO. Eric is the Chief Algorithms Officer at Stitch Fix, leading a team of 80+ Data Scientists. He is responsible for the multitude of algorithms that are pervasive to nearly every function of the company: merchandise, inventory, marketing, forecasting & demand, operations, and the styling recommender system. Prior to joining Stitch Fix, he was the Vice President of Data Science & Engineering at Netflix. Eric holds a B.A. in Economics, an M.S. in Information Systems, M.S. in Management Science & Engineering. Look at your washing machine! It’s the dawn of the algorithmic revolution. You don’t care about temperature, number of rinces and spin speed. You just put your dirty clothes and it works! Our entire world will tomorrow run like your washing machine. During the industrial revolution, we automatized manual work. We replaced craftsmen by assembly lines; and today, robots are helping or replacing humans in many factories. Algorithms are the robots of the information era. Accountants, lawyers, traders, doctors, salesmen, information workers and even perhaps programmers will be helped, and perhaps later replaced by algorithms. After the Data Driven Economy, Internet of Things, and Industry 4.0 will generate more and more data. Connected objets will generate data, and algorithms will be the key to create value from these Geopbytes of data. The future will not be management by data scientists, but by algorithms scientists, who will transform data into previsions and actions. How to transform your organization and these opportunities into dollars, that is the question. The Algorithmic Economy will bring new business models. If you are managing a traditional company, you need to embrace this evolution. If you are a startup, you have great opportunities in front of you, if you know how the business works. Let’s talk together! Philippe Nieuwbourg is an independent analyst and journalist, specialized in decision support systems and data analytics. He founded the web community Decideo, a French and Spanish speaking social network of 15,000 professionals. Decideo is the leading web community about big data and data analytics tools. He is a lecturer in European, North and South American universities, and gives each year dozens of keynote speech during international conferences. He published several books about Big Data, CRM, eMarketPlaces. His next book will highlight the combined potential of connected objects, data and algorithms, to create an Algorithmic Economy. Do we have a moral role as data scientists? How do you balance your responsibility to do what’s best for the company with your moral responsibility as a member of society? As data becomes more accessible to everyone, and as AI and ML technologies become part of our everyday life, the data team takes on a very important moral role as the conscience of the corporation. Beyond just governing AI/ML processes to ensure they are accurate, it is now the data teams’ job to use their skills to be the moral compass of their organization and prevent unchallenged biases from influencing the world behind their walls. Are you taking charge to ensure data is used properly? 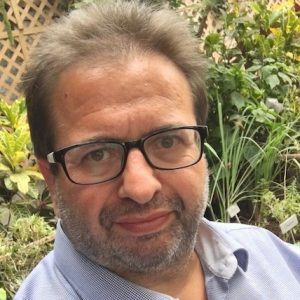 In this session, Harry Glaser, CEO & Founder of Periscope Data, will look at examples of cases where using machine learning and/or AI for classification, prediction, ranking and more run a strong risk of delivering immoral outcomes if unchallenged. 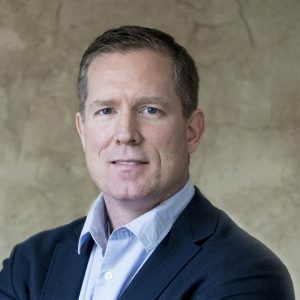 He will explain how companies are taking charge to ensure their data is used properly, how to add human intelligence to artificial intelligence, and how to equip your data team with the right tools like NLP, SQL, Python, and R in a unified platform to perform their jobs while upholding their ethical duties. Lastly, Harry will make the case that CDOs and their teams will increasingly have the role of “Chief Conscience” at the company, giving them a stronger seat at the executive table to make sure data and algorithms are used the right way. Harry Glaser is the Co-Founder and CEO of Periscope Data, an end-to-end analytics platform enabling powerful data team collaboration for over 1000 customers globally, including New Relic, Adobe, Ernst & Young, Flexport and more. Harry was recently named one of San Francisco’s top ranked CEOs by Comparably and Periscope Data was awarded ‘Best Places to Work’ from the SF Business Times. He is an active member of Founders for Change and Project Include. 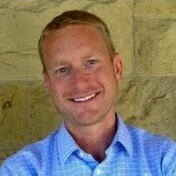 Prior to founding Periscope Data in 2012, Glaser was a Product Lead at Google AdWords and graduated from the University of Rochester with a bachelor’s degree in computer science. In this paper we investigate the protability of a quantitative trading strategy based on Deep Learning methods. Specically we focus on a variant of the Recurrent Neural Network (RNN), the long Short Term Memory Network (LSTM) and show its predictive power on stock price data. We use LSTM networks for selecting stocks using historical price. The reason why RNNs are good for regression or classication of time series or data where time ordering matters is that RNNs capture the variation through time, thanks to its internal state dynamics. We made two studies, the rst focuses on predicting stock returns using one stock at a time. The hit-ratio in this experiment lies in the range 0.47 and 0.60 for the worst respectively best performing stock on unseen live” data. The second experiment looks at the whole universe of stocks simultaneously. In this experiment our model achieves a hit-ratio between 0.50 and 0.71 on unseen live” data. From this experiment two portfolios were constructed, a long portfolio and a long-short portfolio with a Sharpe ratio of 8 respectively 10 for each of the portfolios. Our stock universe in both studies is composed of 50 stocks from the S&P 500. 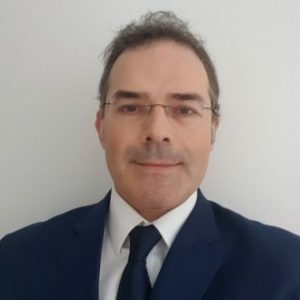 Miquel Noguer i Alonso is a financial markets practitioner with more than 20 years of experience in asset management, he is currently Head of Development at Global AI ( Big Data Artificial Intelligence in Finance company ) and Head on Innovation and Technology at IEF. He worked for UBS AG (Switzerland) as Executive Director. He is member of European Investment Committee for the last 10 years. He worked as a Chief Investment Office and CIO for Andbank from 2000 to 2006. He started his career at KPMG. The hype around machine learning has reached epic levels, and many executives are eager to reap the benefits for their company. But how should they get started – and what can they learn from others’ experiences? ” Recognize patterns of success and failure with ML projects. ” Find ML talent in a time of high demand. ” Evaluate potential ML projects, build a project plan, and interpret results. ” Avoid common ML project pitfalls. ” Build systems to retain the value of an ML project after implementation. Robbie’s lessons come from his real-world experiences leading two successful AI companies. As founder and CEO of Automated Insights, he was one of the first to deploy natural language generation (NLG) solutions for customers like Yahoo! and the Associated Press. Automated Insights was acquired in 2015 by Vista Equity Partners. Now, Robbie leads a new, well-funded machine learning startup, Infinia ML, that helps organizations implement machine learning across the enterprise. The talk will give managers and executives concrete strategies for putting machine learning into practice. Although Robbie’s lessons are shaped by his technical experience, attendees won’t need a programming or machine learning background. 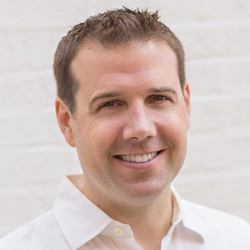 Robbie Allen is the CEO of Infinia ML, a team of advanced machine learning experts focused on making business impact. The company helps Fortune 500 companies and cutting-edge startups reduce costs, increase efficiency, and achieve breakthroughs with data science. Infinia ML serves industries from manufacturing and healthcare to marketing and human resources. The company’s capabilities include natural language processing, recommendation engines, object detection, 3D image modeling, and anomaly detection. To gain an edge in the markets quantitative hedge fund managers require automated processing to quickly extract actionable information from unstructured and increasingly non-traditional sources of data. The nature of these “alternative data” sources presents challenges that are comfortably addressed through machine learning techniques. We illustrate use of AI and ML techniques that help extract derived signals that have significant alpha or risk premium and lead to profitable trading strategies. Robust portfolio construction using multi-factor models by blending in factors derived from alternative data with the traditional factors such as fama-french five factor model. Dr. Arun Verma joined the Bloomberg Quantitative Research group in 2003. Prior to that, he earned his Ph.D from Cornell University in the areas of computer science & applied mathematics. At Bloomberg, Mr. Verma’s work initially focused on Stochastic Volatility Models for Derivatives & Exotics pricing. More recently, he has enjoyed working at the intersection of diverse areas such as data science (with structured & unstructured data), innovative quantitative models across all asset classes & using machine learning methods to help reveal embedded signals in financial data. 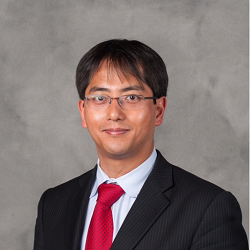 Kazuhiro Shimbo serves as MAI’s Chief Investment Officer. He is responsible for overseeing all aspects of the firm’s quantitative investment programs including the research process, portfolio management, execution and risk management. Mr. Shimbo manages MAI’s quantitative investment team. Mr. Shimbo joined MAI at its inception as the Head of Risk Management. In that role, he was instrumental in the development and improvement of the firm’s quantitative models and technological infrastructure. Prior to joining MAI, Mr. Shimbo was employed at the Industrial Bank of Japan (IBJ) for over seven years. For the last three years of his tenure at IBJ, Mr. Shimbo served as Quantitative Researcher and then Portfolio Manager at the bank’s derivatives market making desk. Mr. Shimbo earned his Ph.D. in Applied Probability from the School of Operations Research and Information Engineering at Cornell University. He also holds a M.Sc in Financial Economics from the University of London and a B.S. in Physics from Kyoto University in Japan. 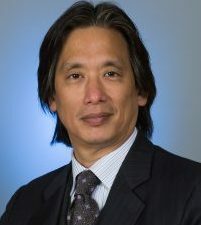 Dr. Chang attended Johns Hopkins University for his B.A. in molecular biology prior to entering Georgetown University School of Medicine for his M.D. He then completed his pediatric residency at Children’s Hospital National Medical Center and his pediatric cardiology fellowship at Children’s Hospital of Philadelphia. He is currently the Chief Intelligence and Innovation Officer and Medical Director of the Heart Failure Program at Children’s Hospital of Orange County. He recently completed his Masters of Science (MS) in Data Science with a sub-specialization in artificial intelligence from Stanford School of Medicine. He is also a computer scientist-in-residence at Chapman University. As investment in data science continued to grow at CCC, the technology department adapted the software development lifecycle. From idea generation that collaborations between technology, strategy and the business, to quick experiments that test those ideas against the baseline, to an enhanced QA process that measures accuracy not just functionality, to deployment on a hyper-scale platform and finally to the support processes that make sure the predictions are within spec and a way to re-train and improve the models, this new software development lifecycle is at the forefront of process innovation. Analytics, Data and Technology have unparalleled capacity to transform the way we work, but their real-world implementation needs more than just data science PhDs and Hadoop clusters. Many organization are creating or expanding special teams to bring analytics into the fold, but the journey is not without its share of significant hurdles. We often find ourselves stranded in legacy systems, separated by siloes and curtailed by the fear of change. A mindset shift required at the operative level, with a mix of EQ and IQ based approach. In this session, we will discuss the companions and sidekicks to Data Science that act as streamliners, accelerators, and safety nets in the race to materiality. Neeraj is focused on developing the optimal infrastructure for data driven decision making at AIG Personal Insurance. He is responsible for engaging with and supporting business leaders in accelerating the use of data and analytics for enhancing the top and bottom line. In partnership with the Actuarial and Underwriting teams, Neeraj is working to advance Pricing sophistication, UW effectiveness, Process efficiency and Customer centricity, all with an eye to long term sustainability. The team utilizes a wide variety of analytical approaches, from Machine Learning to NLP to Financial Modeling to Data Visualization, while solving for strategic as well as tactical objectives.